Dry Polymer Systems | EGM, LLC. 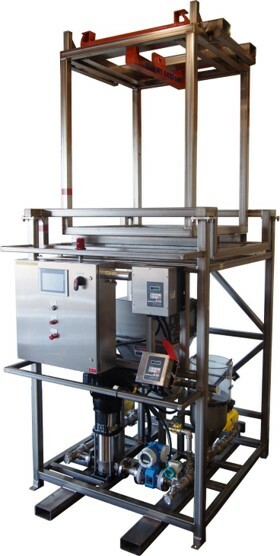 EGM dry polymer dilution systems are constructed with features that eliminate issues such as incomplete product wetting, variable dilute polymer solids generation, high cost of ownership, excessive clean-up requirements, and difficult setup and configuration. 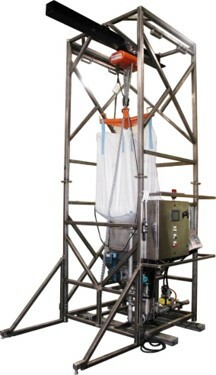 Both volumetric and gravimetric designs are offered, and systems can be configured for use with bulk bag or smaller packages of dry polymer. The PLC programming devised by EGM makes setup, adjustment, and operation straight-forward and simple. It also incorporates process know-how for flushing and cleaning cycles to keep the equipment running reliably batch after batch. System controls are designed with accessory units in mind, such as mix tanks, transfer pumps, and run tank – making system expansion and adaptation intuitive and easy. The EGM design is very scalable due to the simple, yet efficient wetting system employed and units have been constructed that generate dilute polymer solution at rates as low as 5 GPM all the way to 300 GPM.